1585 - Heinrich Schutz, German composer, was born. 1644 - Alessandro Stradella, Italian composer, was born. 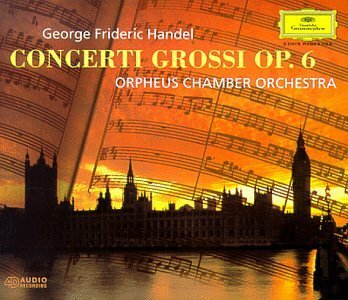 1739 - Handel finished his Concerto Grosso in G, Op. 6, no. 4. 1800 - Leó Festetics, Hungarian composer, was born in Pécs. 1834 - Francois Boieldieu, French composer, died. 1865 - Heinrich Wilhelm Ernst, Czech composer, died in Nice. 1903 - Premiere of Carl Nielsen's Helios Overture. 1821 - Friedrich Kiel, German composer, was born in Puderbach. 1957 - Jerry Lee Lewis recorded Great Balls Of Fire. 1962 - Michael Abels, US composer, was born. 1964 - Roy Orbison had his third UK No.1 single with Oh Pretty Woman. 1968 - Tabea Zimmermann, German violist, was born. 1971 - John Lennon recorded Imagine. 1992 - Premiere of Gyorgy Ligeti's Violin Concerto. Ensemble Moderne with soloist Saschko Gawriloff. December 15, 1925 was the American debut of Hungarian violinist Joseph Szigeti with the Philadelphia Orchestra. 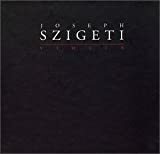 Szigeti was born in Budapest, September 5, 1892. His father and uncle were both professional musicians. He started his violin studies with them, then was placed in the advanced class of Hubay at the Budapest Academy of Music, and made his Berlin debut at age 13. Szigeti made his U.S. debut at Carnegie Hall, in New York City in 1925. He played the Beethoven Violin Concerto, accompanied by the Philadelphia Orchestra conducted by Stokowski. He toured the United States regularly, while continuing to appear in Europe. Due to the outbreak of World War II, Szigeti left Europe and settled in the United States. He became a U.S. citizen in 1951. After the war he continued his international career based out of the United States, but moved back to Switzerland to teach there in 1960. In addition to the standard repertoire, he championed the music of many 20th-century composers, including Stravinsky, Bartók, Ravel, Prokofiev, Honegger, Bloch, and Martin. 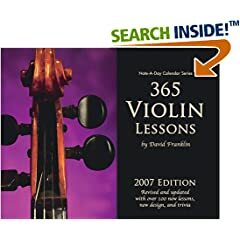 He wrote the books WITH STRINGS ATTACHED (1947), A VIOLINIST'S NOTEBOOK (1965), and SZIGETI ON THE VIOLIN: IMPROVISATIONS ON A VIOLINIST'S THEMES (1969). Composer Carl Nielsen and Arsenic Nell. Can You Guess what these two have to do with one another? Can You Arrange to Look at the Bottom of the Page for the Answer? Christmas is ALMOST HERE and our little ELF (That stands for Enchanting Little Fiddler) here has some LAST MINUTE GIFT IDEAS. Click Him to See What He Has in Mind. Well, I don't know who Arsenic Nell is either, but if you rearrange the letters of Carl Nielsen you'll come up with her name!